Publish date: May 11, 2017. 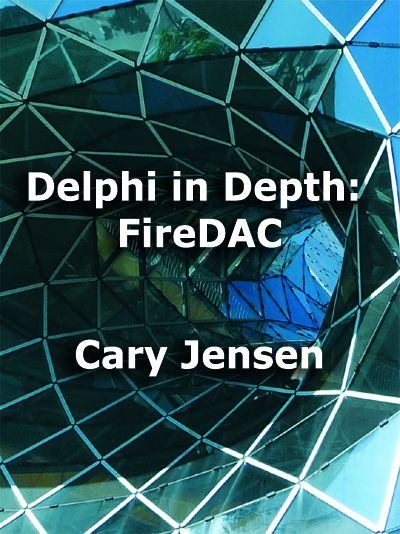 This book covers the current version of Delphi, Delphi 10.2 Tokyo as well as previous versions of Delphi. There will also be an accompanying download with source code which you can download from this page. Appendix A in this book lists the URL for the code download. The examples described throughout this book are included in the code download. You will see notes throughout the text referring to either the project or folder that contains the project file. Refer to Appendix A in the section, Code Download, for details on using the code samples and where to place them (and appropriate directory paths for various versions of Windows). See Cary Jensen in person, along with Delphi guru Bob Swart, at one of the Delphi Developer Days events in Fall 2017. Delphi Developer Days are two-day live Delphi events that provide you with the latest information on Delphi as well as practical techniques to help you improve your Delphi development skills. Delphi Developer Days includes Cary and Bob presenting both joint in-depth sessions together with hands-on training for attendees. Current plans for 2017 include visiting Chicago, USA, Antwerp, Belgium, and Frankfurt, Germany. All attendees receive the Delphi Developer Days course book, containing several hundred pages of material presented during all sessions. Copyright © 2016-2017 Jensen Data Systems, Inc.